A generation at war is touched in many ways, large and small, by the culture of the military. 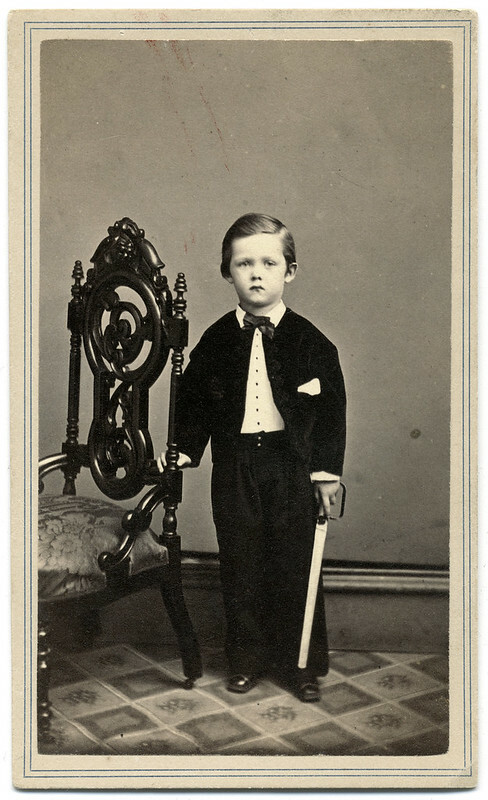 Here, an unidentified boy holds a toy sword in this Civil War era portrait. Why did he choose to pose with a sword? His father may have been a cavalryman, or perhaps he was inspired by romanticized engravings of combat he saw in Harper’s Weekly and other illustrated magazines. The photograph is from the studio of J.H. Abbott of Albany, N.Y. 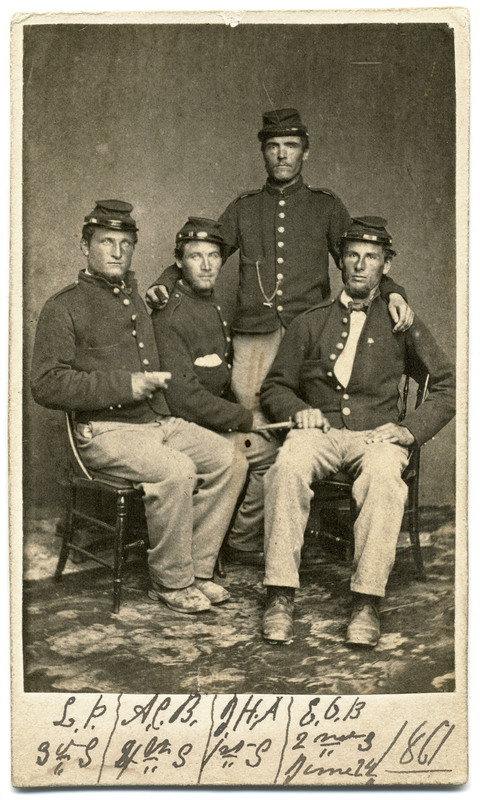 The Civil War was two months old on June 14, 1861, when these New Yorkers left their camp in Bethlehem, N.Y., and posed for their portrait brandishing weapons and an air of confidence. 3rd Sgt. Luther Lee Partridge, 4th Sgt. Andrew Christie Bayne, 1st Sgt. John Henry Austin, and 2nd Sgt. Edwin O. Betts all served in Company G of the Sixteenth New York Infantry, and they had mustered into the Union army a month earlier at Albany. All four men resided in De Peyster, a hamlet located in the far north of the Empire State. Although each man held the rank of sergeant, none had yet received the chevrons that denote their rank. Four days after they had this picture taken, the ranking sergeants of Company G and the rest of their regiment left for Washington, D.C. The Sixteenth spent the rest of its two-year term of enlistment in the South. It fought briefly at the First Battle of Bull Run, and suffered heavy losses during the Peninsular Campaign and at Crampton’s Gap during the Antietam Campaign. 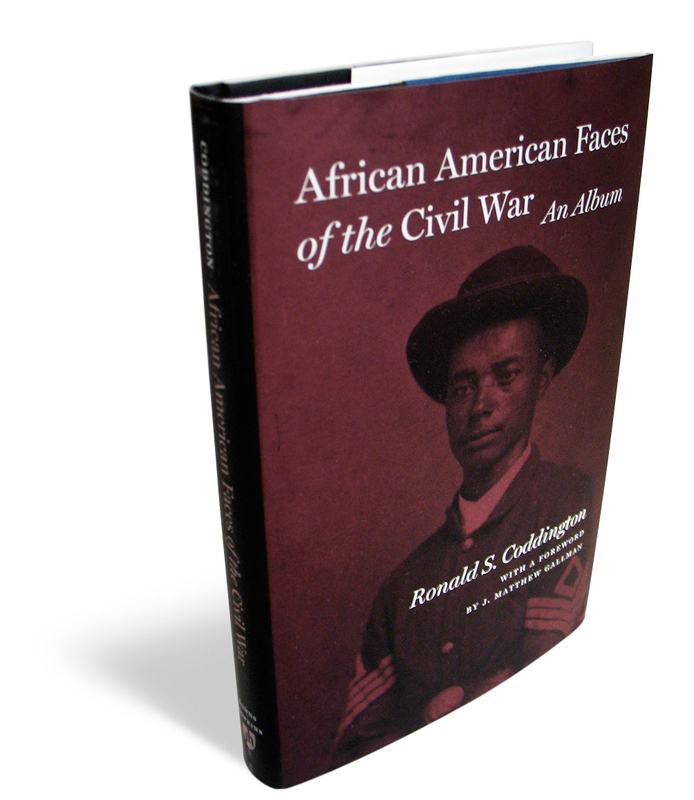 The regiment was held in reserve during the Battles of Antietam and Fredericksburg, and returned to action to fight in the Chancellorsville Campaign. The regiment mustered out of the army on May 22, 1863, and the losses were tallied: 112 were killed or mortally wounded, and 84 died from disease and other causes. All four of these men survived. Luther Lee Partridge (1838-1881) was wounded on May 3, 1863, in the fighting at Salem Church, Va., during the Chancellorsville Campaign. Scottish-born Andrew Christie Bayne (1841-1893) enlisted the Veteran Reserve Corps after he left the Sixteenth and advanced to the rank of captain by the end of the war. He then joined the regular army and remained in uniform until 1871. 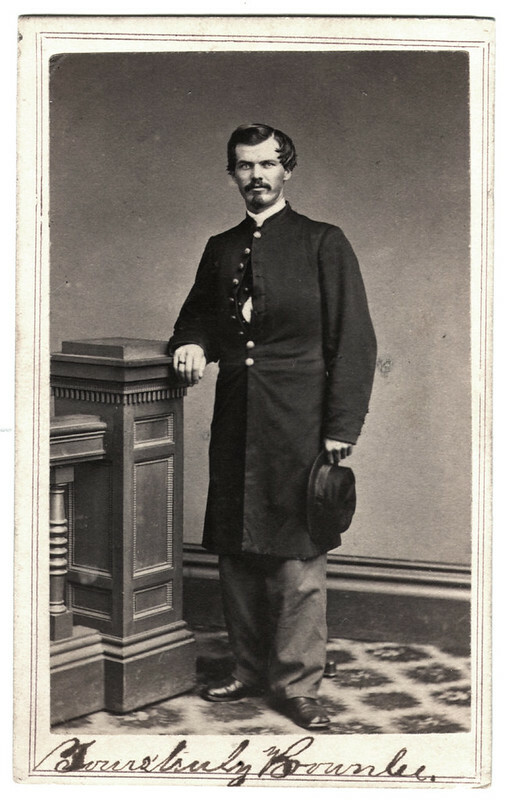 John Henry Austin (1835-1913) became second lieutenant of Company G a few months after sitting for this portrait, and mustered out with most of his comrades on May 22, 1863. Edwin O. Betts was reduced to the ranks on September 29, 1862, and remained in Company G until the end of its enlistment.